10% Discount throughout April. 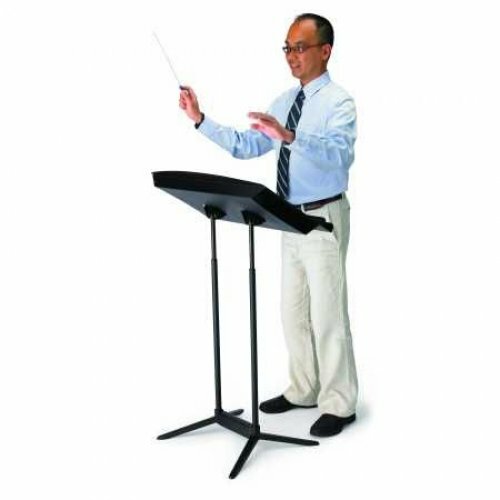 This elegant conductor's stand features an ample desk, a sleek, non-scratch black surface, and dual posts offering superb stability and strength. 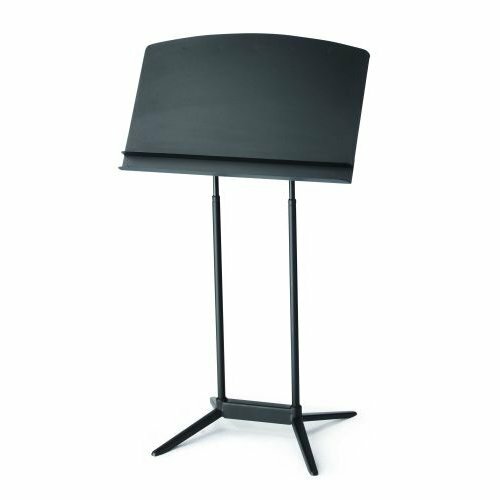 A well-designed and durable conductor's stand at an affordable price. This elegant conductor's stand features a large desk, a sleek, non-scratch black surface, and dual posts offering superb stability and strength. 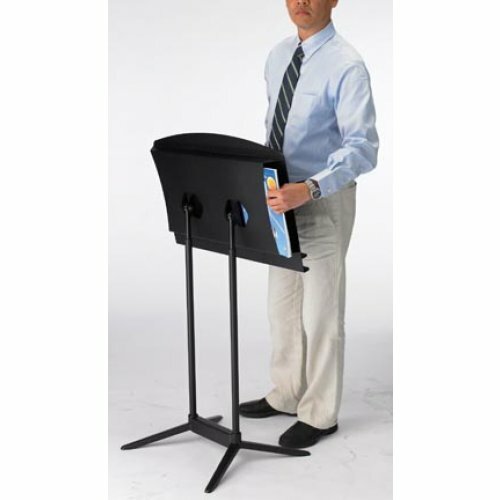 A well-designed and durable conductor's stand at an affordable price. With its sleek desk, non-scratch black finish and dual posts, the Preface Conductor's Stand combines an elegant appearance with a durable, stable design. It also features ample desk space with plenty of under-desk storage. Thanks to clever Wenger engineering, the Preface Conductor's Stand is actually exceptionally affordable. It's also extremely lightweight and easy to use and store. In fact, it's been exquisitely fine-tuned to give conductors more stand for less money.